The Canadian Children’s Book Centre (CCBC) is a national, not- for-profit organization founded in 1976. We are dedicated to encouraging, promoting and supporting the reading, writing, illustrating and publishing of Canadian books for young readers. 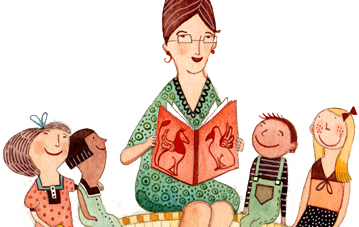 Our programs, publications, and resources help teachers, librarians, booksellers and parents select the very best for young readers. At the heart of our work at the Canadian Children’s Book Centre is our love for the books that get published in Canada each year, and our commitment to raising awareness of the quality and variety of Canadian books for young readers. Our programs, such as TD Canadian Children’s Book Week and the TD Grade One Book Giveaway, are designed to introduce young Canadian readers not only to the books all around them, but to the authors and illustrators that create them. Our quarterly magazine Canadian Children’s Book News and the semi-annual Best Books for Kids & Teens selection guide are designed to help parents, librarians and educators discover the world of Canadian books and to help them to select the best reading material for young readers. The Canadian Children’s Book Centre reaches well over half a million people each year, and we’re still growing. Please check out our programs and publications, and see how we can help you, and you can help us, to bring Canadian books and young readers together. Pour ces informations en français, cliquez ici.